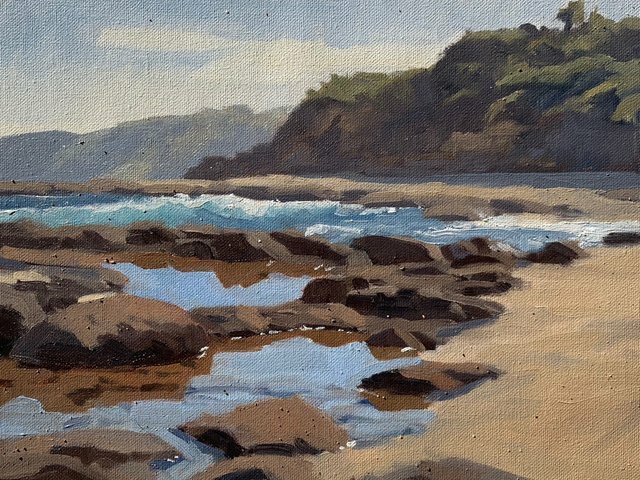 I painted this outdoors en plein air at Norah Head, NSW, Australia. I love the reflective water in the rock pools and the breaking ocean waves and cliffs behind. I painted this art work in oils on loose canvas that I taped to a board. Lovely! You did a great job of capturing the colour of the tidepools, and the reflections.